Please inquire for next training opportunity in ENGLISH! Imagine it. Your team has the skills and techniques they need to make the best decision. It's not impossible. In fact, it is simple. Once you know how. 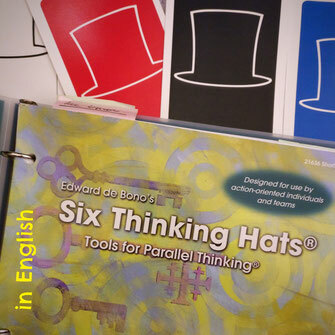 That's where Dr. Edward de Bono's Six Thinking Hats® come in. This systematic method of thinking in a completely new and different way provides your team with the skills and tools that they can apply immediately! See results in days, not months. It is a simple, effective technique that helps you become more productive. You and your team members can learn how to separate thinking into six distinct categories. 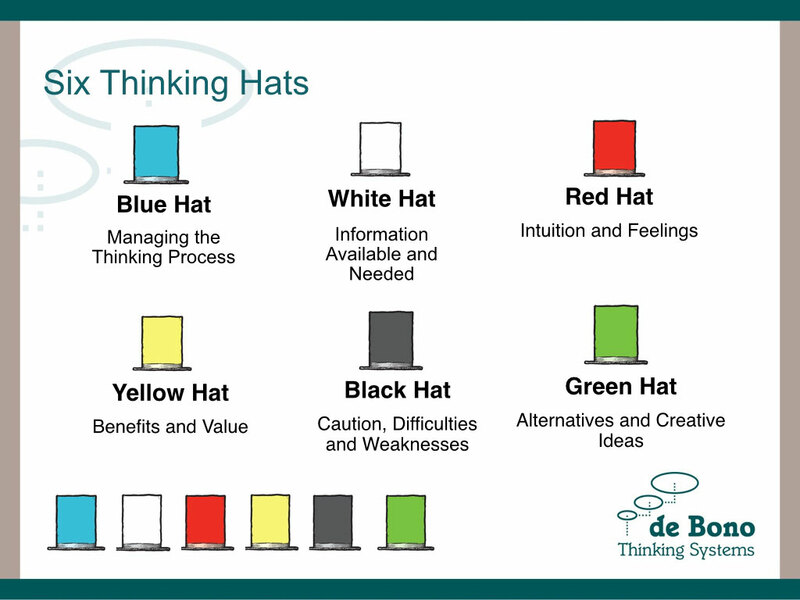 Each category is identified with its own colored metaphorical "thinking hat". By mentally wearing and switching "hats", you can easily focus or redirect thoughts, the conversation or the meeting. The difference between brilliant and mediocre teams isn't so much in their collective mental capacity, but in how well they can tap into their collective wisdom and how well they function together. The Black Hat looks into why something may not work. The Yellow Hat symbolizes optimism - and asks for benefits and feasibility. The Blue Hats is used to manage the thinking process. 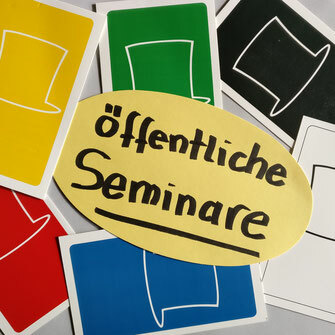 The training is conducted by Hilke Ebert, certified instructor, de Bono Thinking Systems, using original de Bono Training Manuals. The maximum number of participants is 7. You are interested in training your whole team? You like to work on your real issues? Hands ... hm, minds-on? Just contact me: I am happy to explore possible options with you & find the best way to make it work ... this is my passion!